I'm a firm believer that everyone needs a good homemade salad recipe for the holidays. Some may not agree, but I think it's great to have a fresh bowl of greens before a huge meal. I love Caesar salads but have never really made them very often at home. I don't know why, but they always seem to taste better from a restaurant! 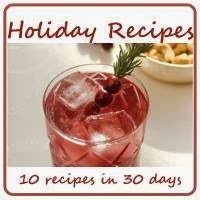 While thinking about our holiday menus (yes, I plan this far in advance! ), I decided I was going to try my hand at making homemade Caesar dressing so we could have Caesar salad for Thanksgiving. I did a lot of research on Caesar dressings and came up with my own version, which turned out amazing and is much healthier than the traditional bottled dressings. Using Greek yogurt gives the dressing a nice thickness and tang. And I made homemade croutons that were so simple to make, but were the absolute best. I'm not sure I'll ever buy packaged croutons again! Another key ingredient to Caesar salad is Parmesan cheese. Our Blogger Recipe Challenge group was sponsored in October/November by HIC, Harold Import Co. and each member of the group was given a Blossom Choco.Nut.Cheese. Grater to use in our recipes. The minute I thought about making this salad, I knew I could use the grater for my Parmesan cheese. This seriously is now one of my favorite kitchen tools! So simple to use and easy to clean. I can't wait to use it for chocolate next! 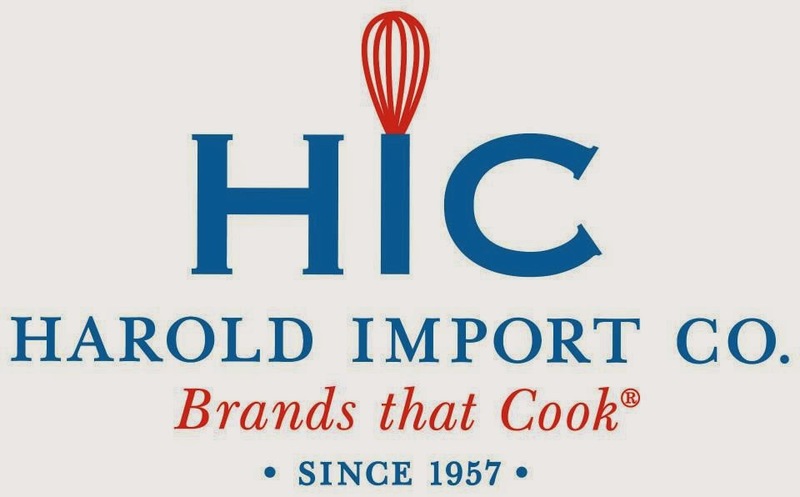 Be sure to check out HIC's blog, The Useful Tool or their Facebook page for more info! First, make the dressing. Combine all of the ingredients in a jar with a tight fitting lid and shake until completely combined. Let the dressing sit in the refrigerator for an hour or so to let the flavors combine. Dressing can be made 2 to 3 days ahead of time and stored in the refrigerator. Next, make the croutons. Preheat the oven to 375 degrees. Tear the bread into bite sized pieces and spread on a baking sheet. Drizzle with the olive oil, then sprinkle with salt, pepper and a dash or two of garlic powder. Mix it all together with your hands so all of the bread cubes are coated. Bake in the oven for 12 to 15 minutes, until the bread is lightly browned and crispy. These can also be made a day or two ahead of time and stored in an airtight container. Add your croutons to the salad, then drizzle the dressing over the top, using salad tongs to mix the salad all together. Finish with a few dashes of freshly ground pepper. Disclaimer: I received this product from HIC, Harold Import Co., for review at no charge but was not monetarily compensated for this review. All opinions, as always, are my own.